Designing a website can be a lot of fun, but when you are specifically designing a website that needs to be search engine friendly, that can complicate matters. What attributes do websites want, and how do you incorporate them into your design? Well, there are a few key points that nearly all search engines look for that you should try and include. 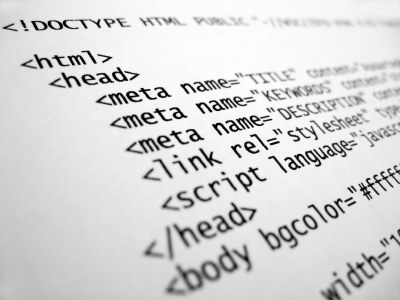 Here are some of the most important elements you need to have on your website. When you design your website, you need for the search engine to logically be able to see how each element of your website connects. If you want people to be able to go from your home page to your contact page, make sure they have a solid connection. Web crawlers need to be able to see how these work together just as easily as a viewer would. They want to be able to find your linking pages easily so that they can see you really are trying to cater to the needs of people using your website. Any pages left abandoned, or not connected to your main website, should be marked as ‘nofollow’ or ‘do not index’ so that crawlers can see that you intentionally wanted them left off of the page for ranking purposes. While this may seem like basic logic, it does not always appear that way to the web crawlers. Part of the reason that search engines think some sites do not have solid content is because they are not including all of the information that they could with each of the website’s elements. For example, if you use pictures on your website as most people do, if you do not have the proper information under the picture, such as caption, link, html coding where appropriate, etc., it can appear to the search engine that some of your content is missing or not helpful. This will lower your rank. Make sure to include all of this information wherever you can to make your design friendlier to the search engines. It’s widely known that keyword stuffing is bad on many levels, but so is not using keywords naturally. Just trying to fit a keyword in to rank for it where it wouldn’t come out in a regular conversation can make search engines not like your website. When searching for keywords, use words that are natural and would make sense with your content. Otherwise, you are risking the search engines overlooking your website and not giving it the credit it’s due.